A highly innovative Layher temporary roofing and crash deck design, installed by contractor PHD Modular Access Services Ltd., has helped main contractor Morgan Sindall Ltd. meet planned Network Rail completion dates during refurbishment at Marylebone Station. 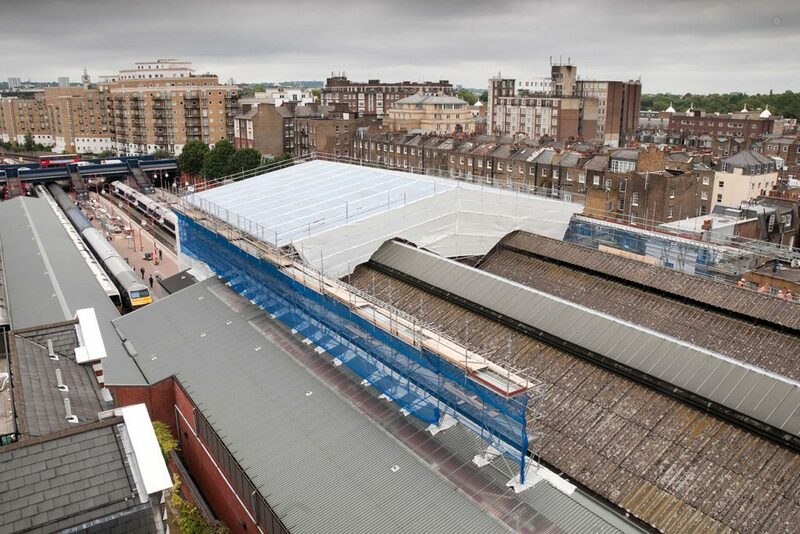 Progressively moved in tandem, the design helped the station – used extensively by Chiltern Railways – to remain open during the work. 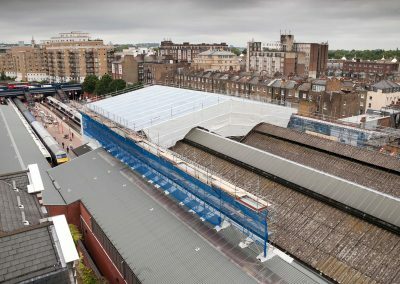 “We used Layher’s Allround® system and decking panels, which offer excellent load-bearing capacity, to provide protection below and as support for a rolling birdcage giving access to the roof,” says Gary Peacock, MD of PHD Modular Access Services Ltd. 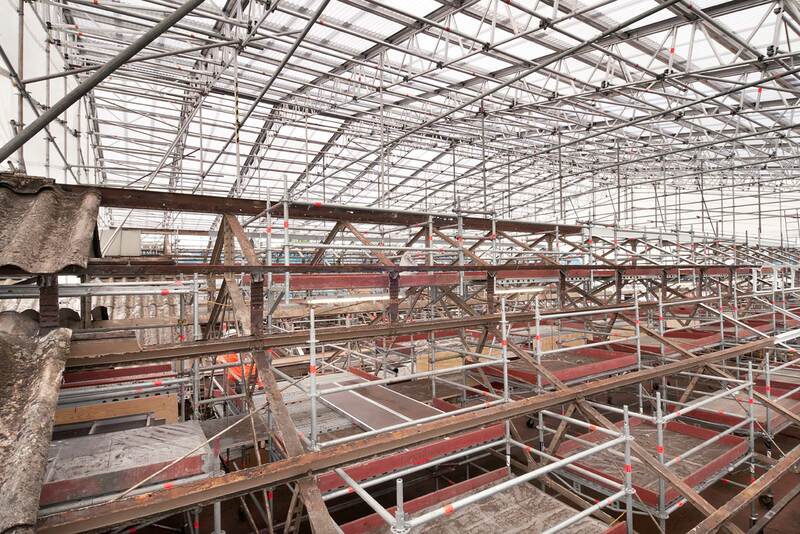 The entire roof structure required an average of just 40 minutes and four people to move each time. 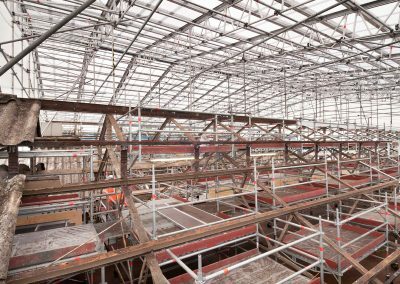 “We believe that, to date, this PHD/Layher project is the largest span installation in Europe for our recently introduced Lightweight Cassette Roof system,” adds Layher UK MD Sean Pike.